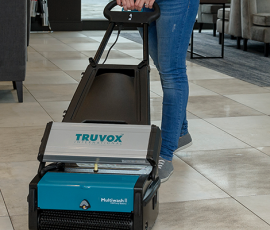 Truvox International is a leading global manufacturer and supplier of commercial and industrial floorcare machines, based in Southampton, England. From the production of its first electrical polishing machines in the early 1960’s, Truvox has successfully expanded both its product range and its geographic reach to a point where it is now recognised in over 70 countries worldwide. 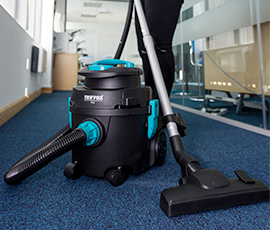 Truvox International has a wide range of well established brands including Orbis rotary burnishers, Hydromist carpet extractors, Valet vacuums, Multiwash scrubbers and Cimex three brush technology. Which is your favourite Truvox machine? 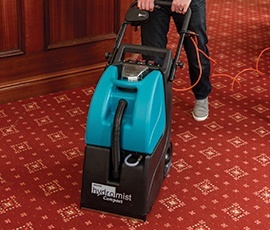 What safety factors do you need to consider with a scrubber dryer? View our product brochure and see our wide range of established brands! We have found the Truvox equipment to be versatile, hard-wearing and effective. 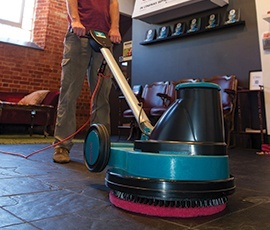 As the scrubber dryers and burnishers are cordless they allow us to clean areas with a minimum risk of tripping, and we are saved the inconvenience and expense of providing extensions and cable covers.